Manufacturing Day is a day to open doors and minds, as we celebrate the beauty of manufacturing here in the United States. And that we did on Saturday, October 20th, with our Annual Open House. The day started out as a cool, crisp, sunny Wisconsin fall morning, and over the course of the day we would see dropping temperatures, rain, and even snow pellets driven by 50+ mile per hour winds. 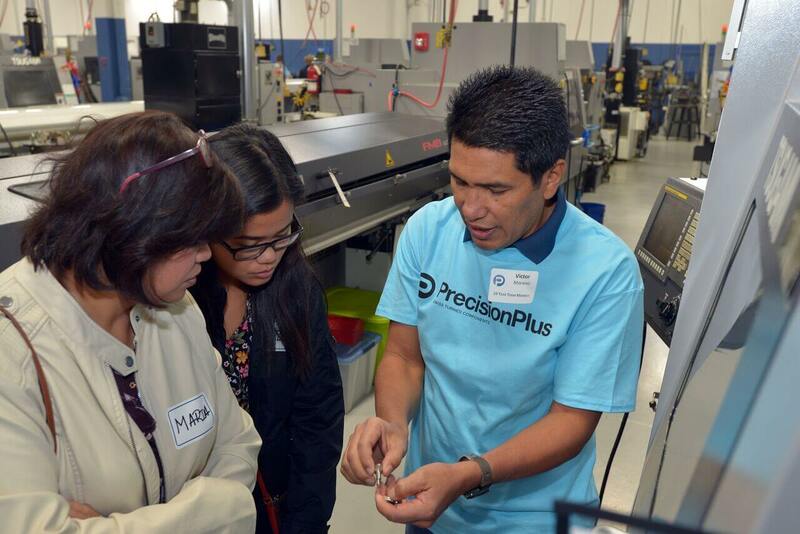 In spite of the weather, we welcomed close to 200 friends, family members, and neighbors for a day of tours, technology, and talented team members. Last week, many area high school students had the opportunity of attending one of the largest industrial trade shows in the world, featuring more than 2,500 exhibiting companies and over 129,000 registrants. On Friday, September 14, we chartered three coach buses headed to IMTS 2018 at McCormick Place in Chicago. Our buses were filled with 165 students, educators, and engaged parents, ready to take on this year’s show – the biggest one to date. 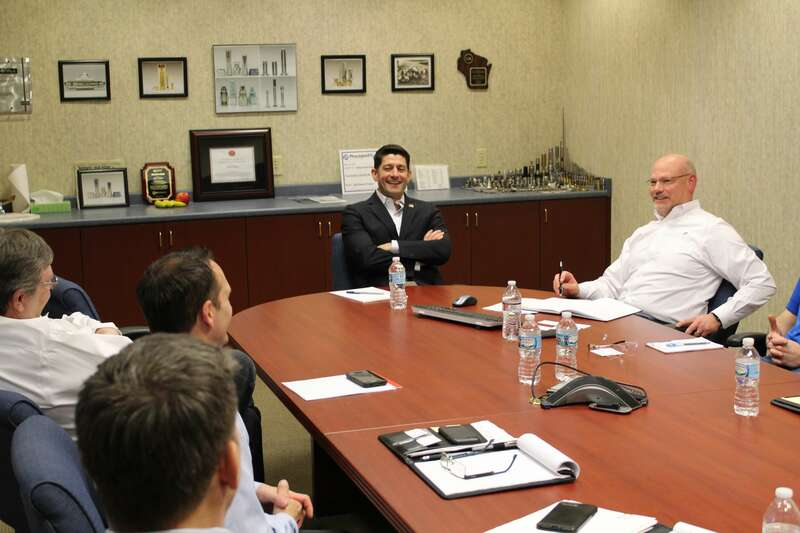 Congressman Paul Ryan during his visit to Precision Plus earlier this year. It is a positive thing when unemployment numbers in our country are at record lows and consumer confidence is on the rise. With so much good news, it’s easy to be optimistic about the future. 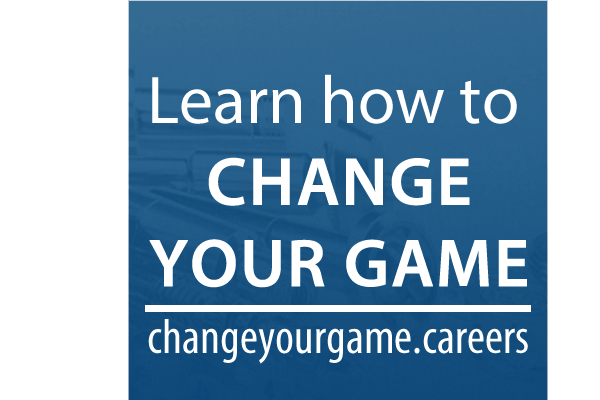 However, as the economy continues to grow and businesses add jobs, we need to continue to focus on the skills gap that exists in our industry’s workforce. At a recent House Republican Leadership press conference, Congressman Paul Ryan talked about “the need for more workers and especially workers with the right skills.” The jobs are there, but the right people to fill these positions are needed more than ever. I was honored to be among the invited guests for the Foxconn groundbreaking celebration on June 28th, and I wanted to share a few of the takeaways. I did not know what to expect going in, as there was little information published ahead of time. With all the rain and very warm temperatures we had been experiencing, I did not know if I needed to dust off the outdoor boots with shorts and a t-shirt or wear the suit and dress shoes. It turned out the boots were not needed, and the air conditioning was a welcome relief from the high temps, as they shuttled everyone to the site nearby that they have been leasing for the past few months. 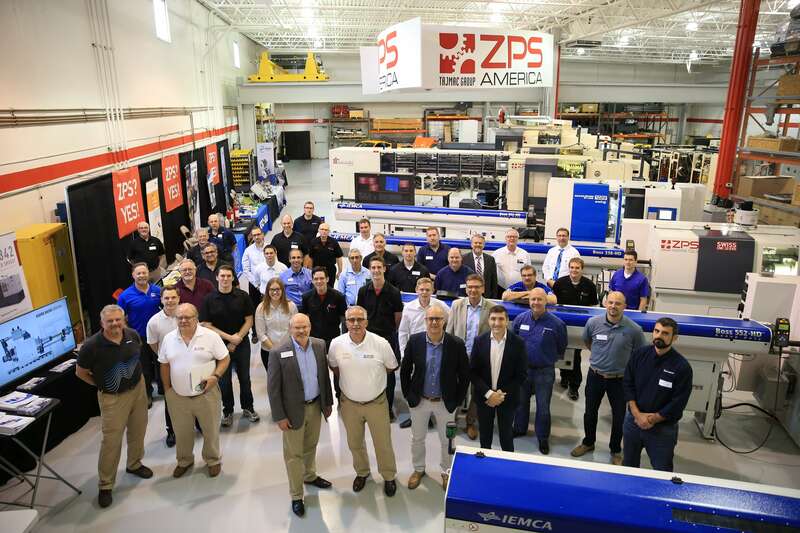 The great group of folks who took part in the two-day training session at ZPS America. Besides being President of Precision Plus, Mike Reader also wears the hat of First Vice President of the Precision Machine Products Association (PMPA). He is now one and a half years into his three-year commitment with the association and path to the association presidency. He says it has been a rewarding journey and one filled with opportunities, as the PMPA leadership team works to redefine itself and the service model for their membership going forward. What Will the Tariffs on Steel and Aluminum Cost Us? The news is saturated, as of late, with the tariffs on steel and aluminum imports imposed by the Trump administration. Rightly, many are concerned with what this means and the possible harm it will cause. Will the imposed tariffs help local producers of these metals, or will it only hurt U.S. companies, resulting in increased costs and possible job losses? Overlooking Fortaleza Hall at S.C. Johnson headquarters. 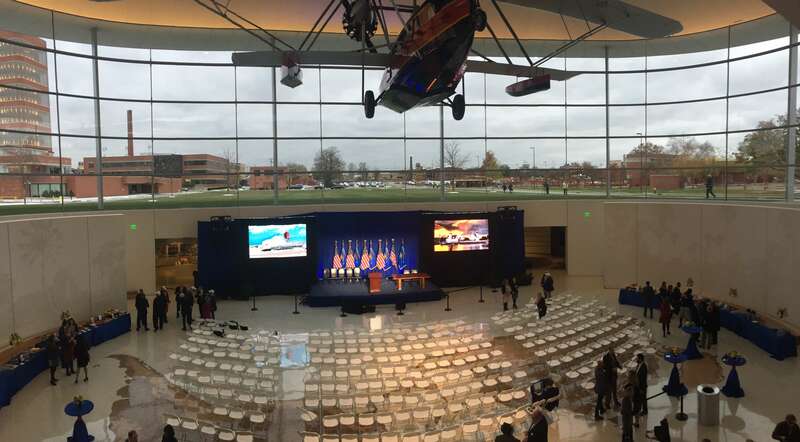 Last Friday, November 10th, S.C. Johnson CEO Fisk Johnson and the S.C. Johnson team hosted the historic signing of the Foxconn Technology Group contract, bringing a projected $10 billion investment, 20 million + square feet, and up to 13,000 high tech jobs to southeastern Wisconsin. The Coolest Thing Made in Wisconsin contest has become one of the most fun things about Manufacturing Month in Wisconsin. This year’s contest garnered nearly 200,000 votes — more than 10 times as many votes than WMC’s inaugural coolest thing contest, which crowned Harley-Davidson’s Milwaukee Eight Engine the winner last year. On Friday, June 2nd, Precision Plus hosted the second ever meeting of the Fluid Power Industrial Consortium (FPIC), part of the National Fluid Power Association (NFPA) and in association with the Milwaukee School of Engineering (MSOE) University. The consortium was formed to advance the networking opportunities amongst members and drive innovation through collaboration.